Another fantastic year for the BiBs! Thousands of votes were cast in March and April for each of the 12 categories. 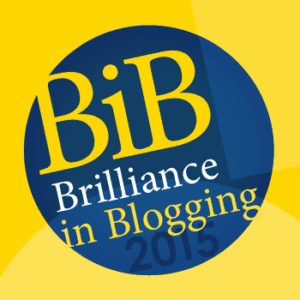 Everyone shortlisted in the 2015 Brilliance in Blogging awards was noted for their innovative and highly engaging blogging and social media by their readers and peers. The shortlists of 10 bloggers in each category were then whittled down to 5 finalists by combination of the public vote and by the BritMums team. These blogs represent the best in their niches and BritMums applauds them all for the heart and effort they put into the blogging and social media they do. But there can only be one winner. The winners are chosen by judges based on selective criteria: aesthetics, the quality of the content, voice as well as exceptional quality in each category. The awards were announced at the BiBs ceremony on Friday 19 June at BritMums Live. Previous Post BritMums Live: Give your summer party the WOW factor with SuperSavvyMe! I recorded them in two halves. One half on camera and other half on my phone. Both uploaded to You Tube today. Would love if you could tweet them out.